What years would have had a white Christmas if we were still using the Julian calender? I've been thinking recently about the fact until 1752, England at least, was using the old Julian calendar, rather than the Gregorian calendar which we use now. At the time of the change individual dates were 10 days later than now, but by now they would actually be 13 days later. So for example today would only be the 8th December if we were still using the Julian calendar. Also we wouldn't celebrate Christmas Day until what is now the 7th January if we hadn't have changed over. This got me thinking though. No doubt before the change in calendar, white Christmas's were probably slightly more common in Britain until then. Of course also at the time of the change the LIA would have been still on going with probably quite a number of White or at least quite cold Christmas's in the decades prior. The irony is however that taking Christmas 2010 for example, we only got a White Christmas that year precisely because we had adopted the Gregorian calendar 258 years previously. If we hadn't have done the snow would have been and gone by the 14th of December (contemporary 27th of December). Does anybody know exactly whether there would have been snow either falling or lying on the 7th of January in any specific years? Because if so, had we still been using the Julian calender, that would have been a White Christmas. 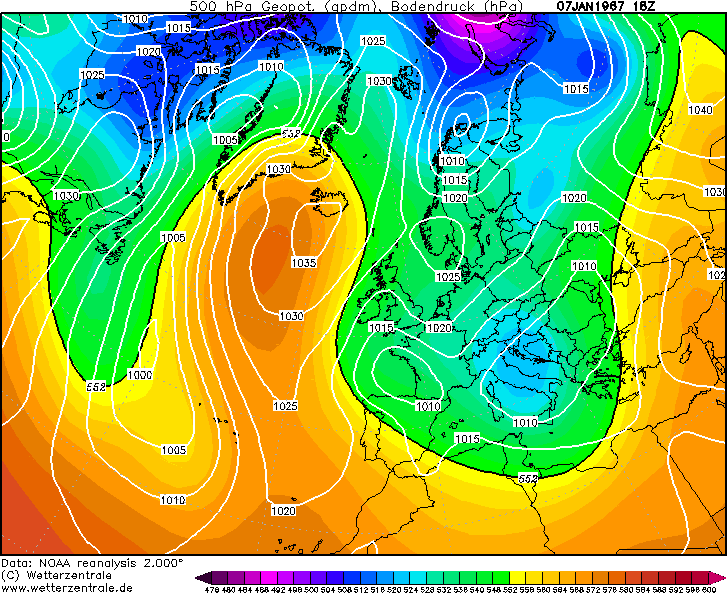 I reckon these cold southeasterly winds would have brought snow showers to some places. 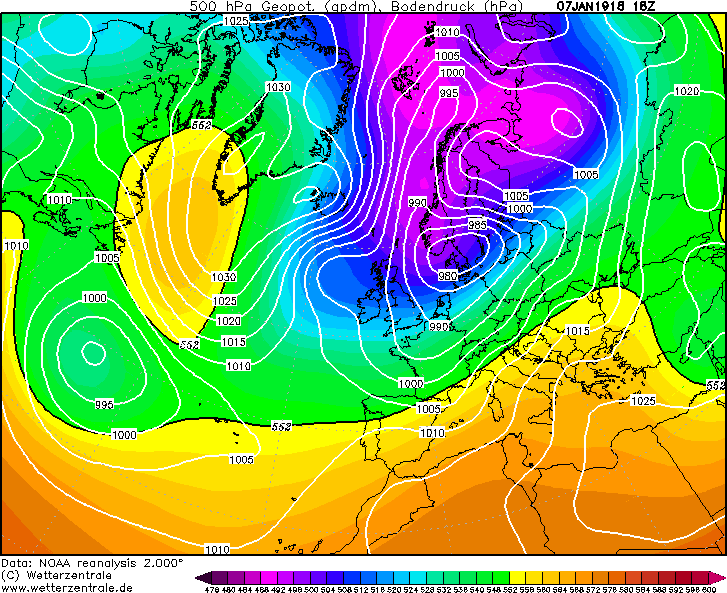 Very cold air plunges into Scotland as the winds turn to the north. Perhaps wintry showers and severe frosts. Strong northerly winds pack a punch across Scotland. I imagine there could have been whiteout conditions in any snow showers where we had those tightly-packed isobars. A battlefront scenario with a big ole area of HP spread over Scandinavia and weather fronts from the west. This may have gave snow. 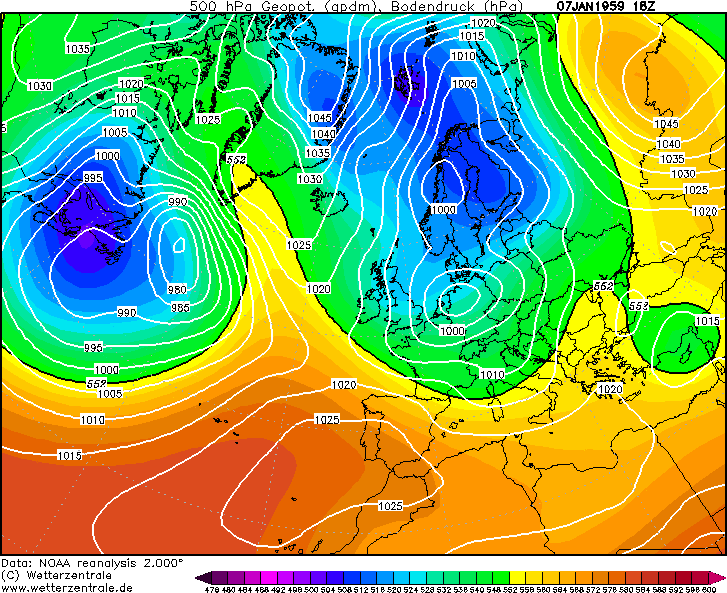 A rather more relaxed chart but it would have given some snow showers across the north. Probably would have given a bright and cold Christmas for much of England though. Wintry showers tracking southwards with some very chilly air moving down into Scotland. 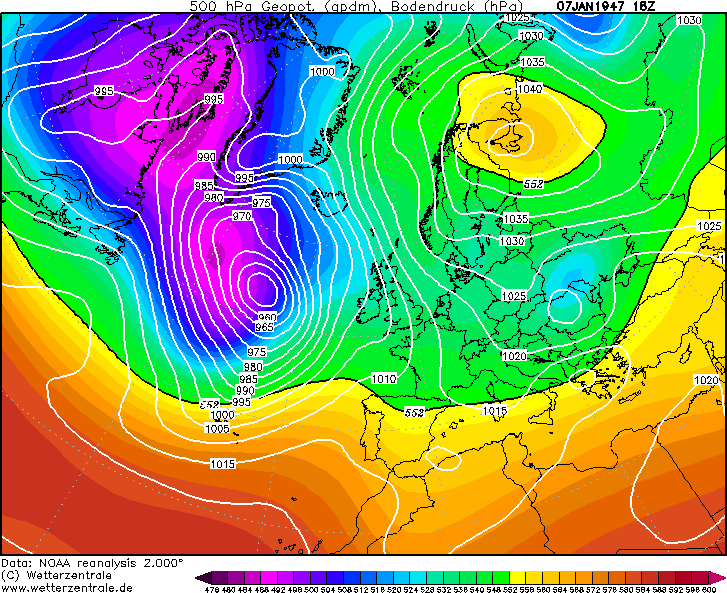 Low pressure is quite close to the south so this may have threatened outbreaks of snow more towards the southwest. That little wedge to the SE may have kept things drier there. Now this would have been one memorable Christmas period! 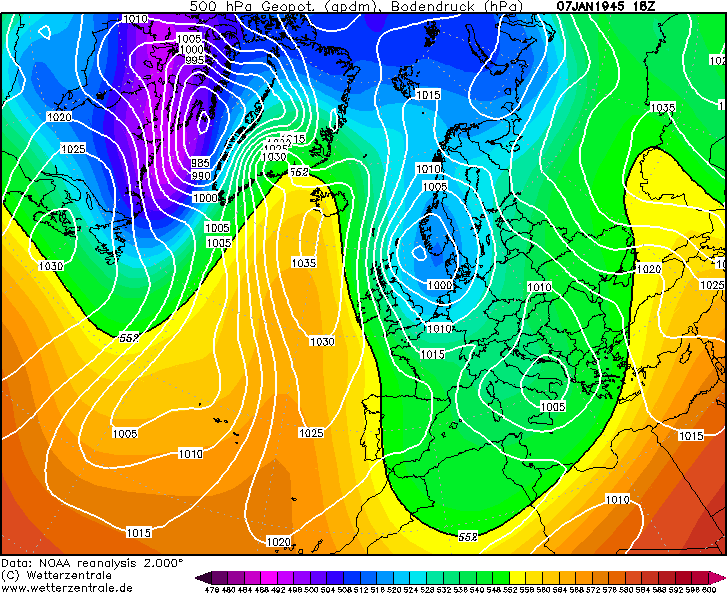 The 7th of January, 1982 saw temperatures fall to -26.8 under that little ridge. And as that low pressure in the Atlantic it caused some very heavy snow into the 8th and 9th (which would be an almightly Boxing Day blizzard). Technically not a white Christmas, but I have to mention it because, hey, who wouldn't mind 20 foot drifts on Boxing Day? A very cold Christmas Day would be had if this had fallen then. 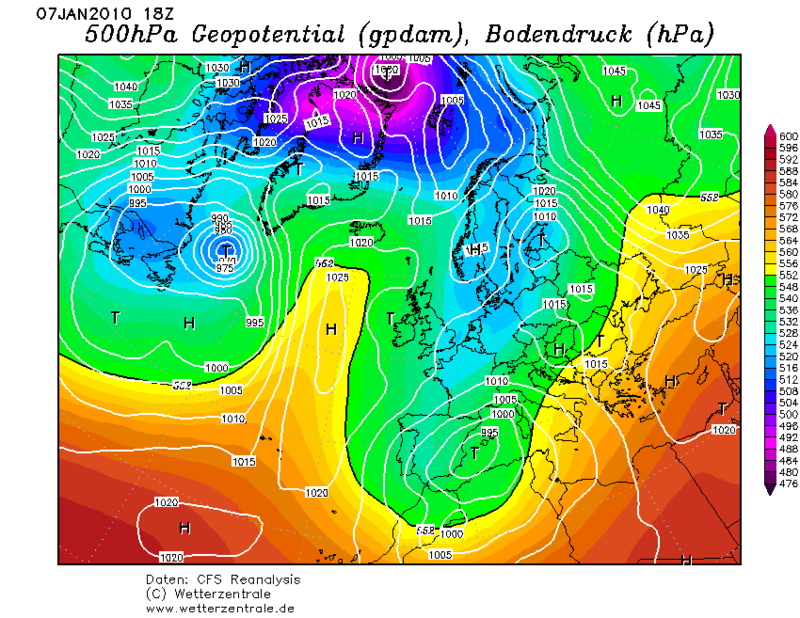 That's not the only thing that would be falling as I think SE parts would of managed a white Chrismas. And finally, the only modern year I could find is 2010. Who could forget the spell of cold weather in early-January, 2010. 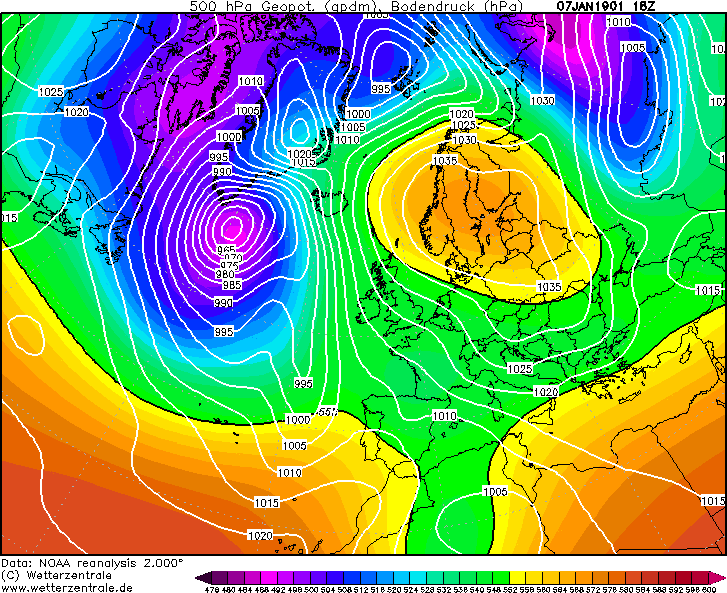 This certainly would have given a White Christmas for eastern areas. Perhaps you were not expecting this much of an answer but I hope you found it interesting. And to anyone, if you remember the weather on this day and I got it wrong, sorry! I wasn't alive for quite a lot o' these. Edited December 21, 2018 by LetItSnow! There are also quite a few years that would've had much more seasonal Christmasses if they were on the 07th Jan, albeit without any snow. 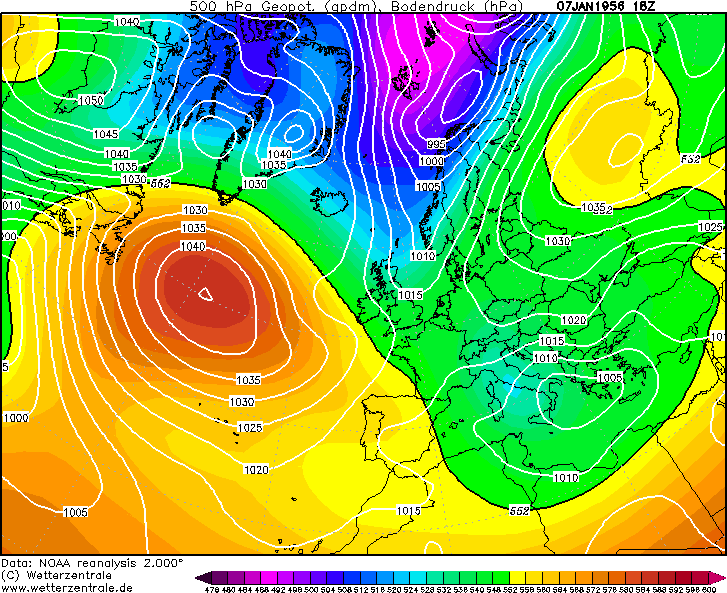 Classic example being 25th December 2002 when we were just shy of 15C, versus 07th January 2003 which was an ice day. Or even, 07th January 2009 which was just above freezing and very cold overnight versus 25th December 2008 which saw the gradual cooling down into the lengthy cold spell. @LetItSnow! Interesting that you brought up 7th Jan 10, as I was actually thinking that had Christmas been on that day it would have been a white one here, or at least had snow on the ground. Actual Christmas 2009 here though unfortunately ended up been green here in the end, despite falling and settling snow on the 23rd, which unfortunately thawed throughout Christmas Eve, leaving nothing left come the big day itself. Many parts of the country did still have snow on the ground on Christmas Day 2009 though. And that been the case I'm sure such areas were fortunate enough to have snow on the ground on both mentioned dates that Winter. 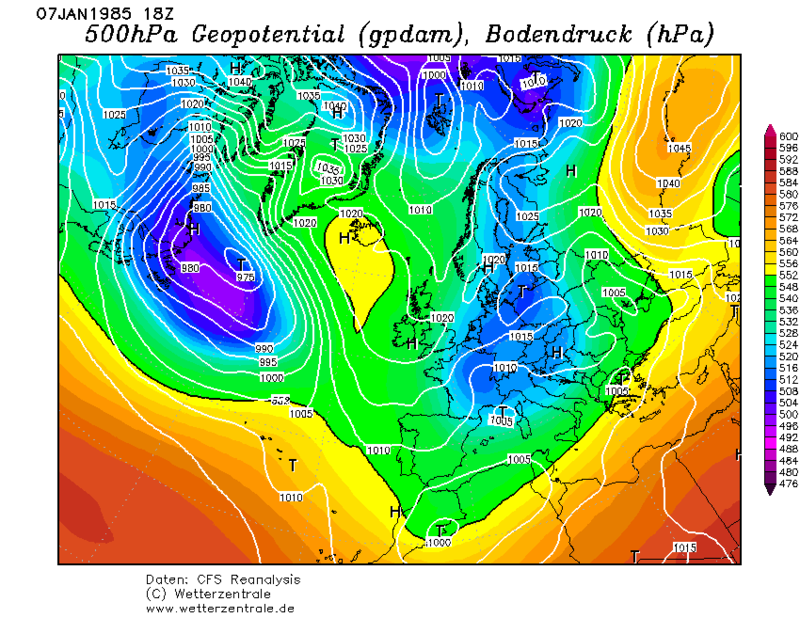 Although it would have been over 3 years before I was born, I'm pretty sure based on your charts for 1982, many parts of the country would have had snow around on both 25th Dec 81 and 7th Jan 82, meaning like 09/10 this would have been one of those quite rare years whereby the calendar made no difference on whether that Christmas would be white or not. So "December 2010" aka 7th Jan 2011 would have still had a white Christmas, and a very well timed one (started snowing about 7.30am, 2cm lying at 0900, all gone the next day). Near misses were: 1998 snow falling on 5th and lying on 6th, 2002 snow lying from 30 Dec 2001 to 5 Jan, 1995 snow lying from 2-4 Jan. I do actually remember there was this one day in Jan 2011, when it snowed, but didn't know it was the 7th, so I guess it would have been a white Christmas by the old calendar. It only gave a thin slushy covering though, unlike on the modern 25th Dec when we had proper deep and crisp snow on the ground with sub zero temperatures and sunshine. Magical Christmas Day that was. Had it been the other way, it would no doubt have felt quite novel still to have snow on Christmas, but it would have paled to what we actually got that year. Still a shame it ended before December was even over though, with the best of Winter behind us that season. It was actually quite peculiar really from a historical perspective, for Winter to come in as hard as it did so early that year, only for it to fizzle out before the turn of the New Year. Maybe 1994, 1997 and 2003 could be added to the list. The South East had snow around the 7th January in those years. I remember there was a surprise snowfall on the evening of 6th Jan 1994 when rain turned to snow. Can't remember if it lasted all night, but there was a covering the next morning. The first ten days of January 1997 were very cold with plenty of light snow showers. 2003 saw snow showers on the 7th, then the heaviest snow in London for years on the 8th.